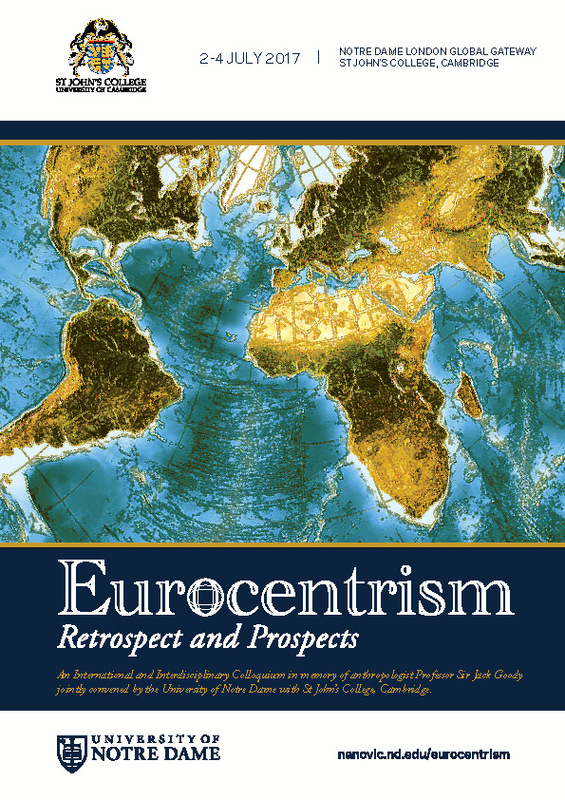 EUROCENTRISM: Retrospect and Prospects: An International and Interdisciplinary Colloquium, convened jointly by the Nanovic Institute for European Studies at the University of Notre Dame and St John’s College, Cambridge, in memory of anthropologist Professor Sir Jack Goody, will take place in multiple locations in England on July 2-4, 2017. Panels are open to the public. 10:30 – 12:00 PANEL 6: The Eurocentric Consensus?